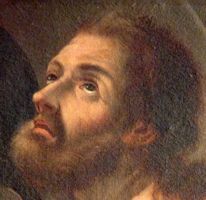 God of mercy, you chose a tax collector, Saint Matthew, to share the dignity of the apostles. By his example and prayers help us to follow Christ and remain faithful in your service. We ask this through our Lord Jesus Christ, your Son, who lives and reigns with you and the Holy Spirit, one God, for ever and ever. Amen.